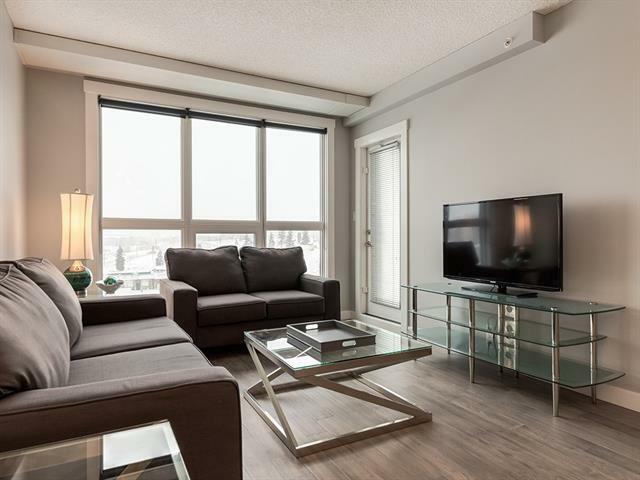 DOWNTOWN VIEWS from this stunning 2 bedroom + 2 bath unit conveniently located in London at Heritage Station. 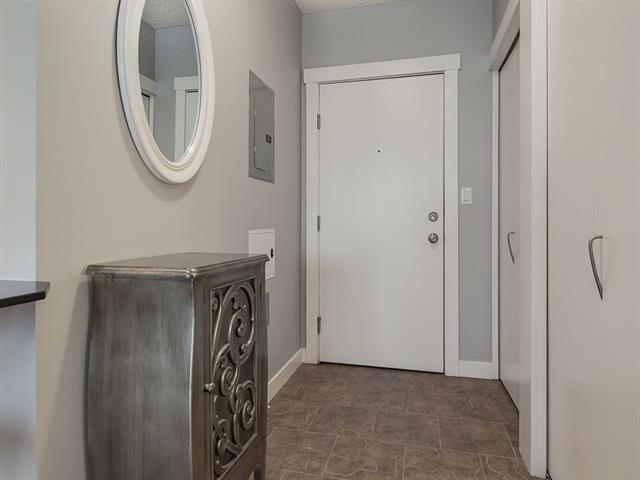 Stylishly appointed with hickory engineered hardwood flooring throughout & a freshly updated white kitchen & bathroom vanities. Open concept living with 9 foot ceilings, huge windows, granite countertops, laundry, storage, & patio with gas hookup. 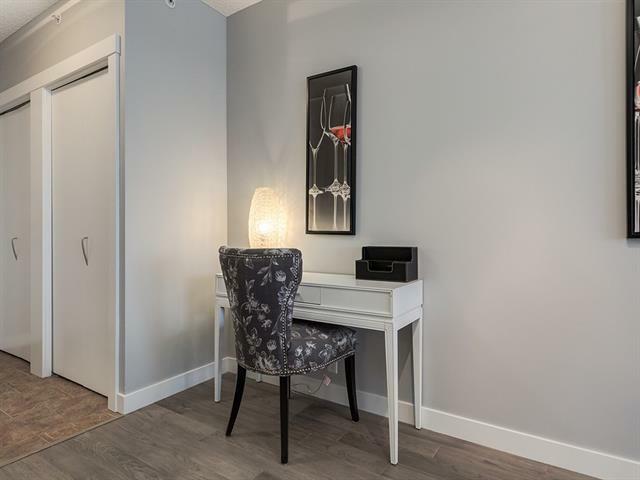 Stellar location with access to shopping, dining, banking, groceries (Save on Foods), and there's even a pedestrian bridge for direct access to the C-Train. Turn key for an investor, this unit is fully equipped for an executive rental, all furniture & accessories are negotiable! Plus the existing tenant is willing to stay for immediate cash flow, or move in & enjoy. 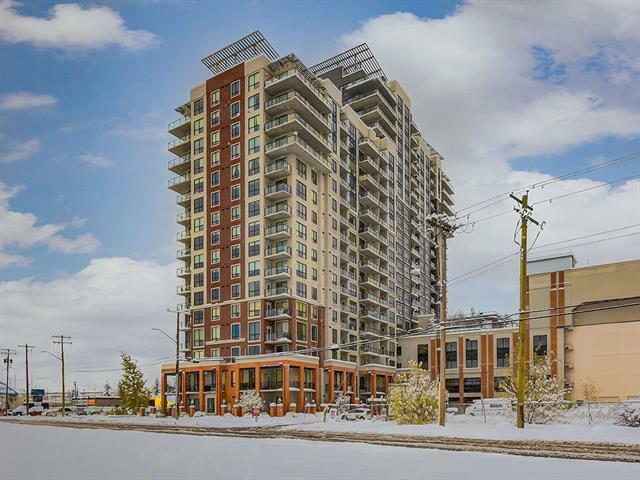 Let yourself be spoiled in this exclusive concrete building with 24-hour security, heated underground parking, bike storage, and a rooftop terrace with both City & mountain views.